Social workers touch the lives of CHI's clients every day. Whether through an intake admission, an educational assessment or a weekly check-in, our clients are closely monitored by trained social workers to ensure they have the tools necessary to reach their goals, connect to eligible services and move to permanent housing. 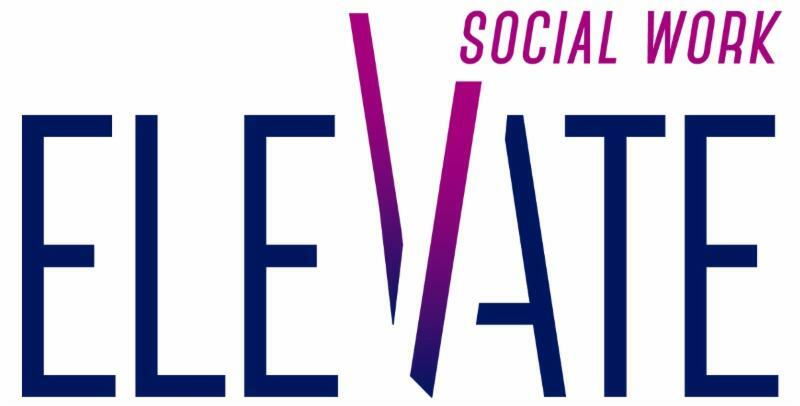 CHI employs social workers in various programs across five New York Counties. We extend our deepest thanks to all of them, and to social workers worldwide, for their incredible dedication and selfless giving to make the lives of others' better. CHI partnered with Ocwen and Wells Fargo to offer a "Fast Track" foreclosure prevention event on June 7, 2018 in Westchester. The event brought counselors, clients and banking professionals together on one day to work to secure loan modifications, MAP loans or other remedies to save clients homes from foreclosure. Twenty-three households were serviced within six hours. 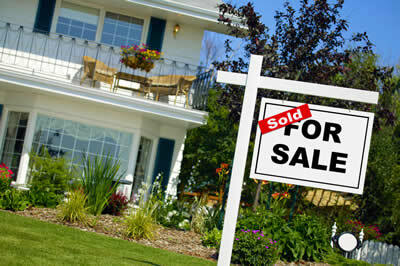 CHI has been a HUD-approved housing counseling agency since 1997, offering foreclosure prevention counseling since 2009. Over that time, thousands of households have benefited from such counseling with over 840 securing a loan modification or other remedy to remain in their homes. But funding which has previously come from New York State is set to expire on March 31, 2019, effectively ending the program at CHI in the coming months. A statewide coalition of 167 advocacy organizations, nonprofit agencies, businesses and labor unions have requested that the Governor include $20 million in funding for vital housing counseling and legal services programs that will otherwise be forced to shut down. The budget is still in process with the final version to be released by April 1st. 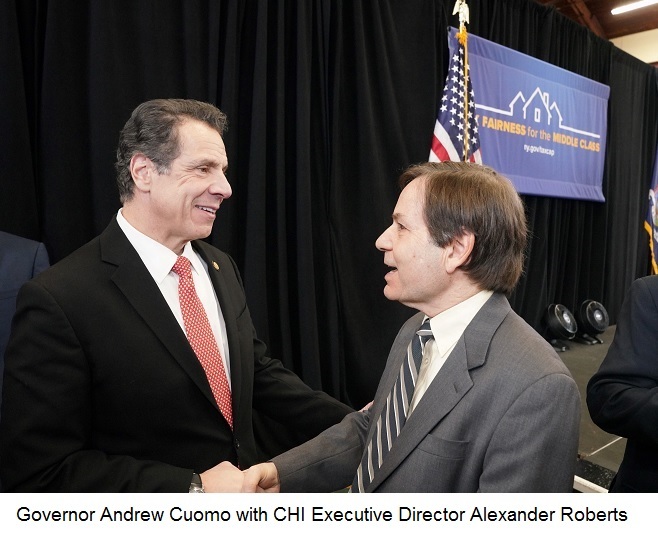 CHI is hopeful that Governor Cuomo will consider the funding as it is integral to the operation of foreclosure prevention programs statewide. For more information, click here. I met Governor Cuomo on March First after a speech in Mt. Kisco on “Tax Fairness for the Middle Class" and he greeted me warmly. I have known Andrew Cuomo since I was a New York City television news reporter in the 1980’s, when he served as campaign manager for his father, Mario Cuomo, then running for governor In 1990, Andrew Cuomo left politics to co-found HELP USA, a nonprofit agency serving the homeless. I left television news a year later to co-found Community Housing Innovations, with a similar mission. Our paths crossed again when, as HUD Secretary under President Bill Clinton, Cuomo gave CHI the John Gunther Award for Best Practices in 1999. At the Mount Kisco event we re-connected and the Governor invited me to meet with him, which I plan to do. Hard to believe it’s been over 30 years. Jamie Worthman has been interning at CHI's Resource Center while working toward completing her Master's degree in Social Work. As part of a school project, she wanted to find a way to make an impact on the adult homeless clients she works with at The Resource Center. She came up with the idea to create a gardening workshop, an evidence-based practice that offers stress relief, builds self-esteem, reduces the risk of heart disease, increases brain health and functioning, decreases depression and gives the person a sense of purpose. In order to purchase supplies for the workshop, she has organized a fundraiser at Panera to secure funds to support the program. 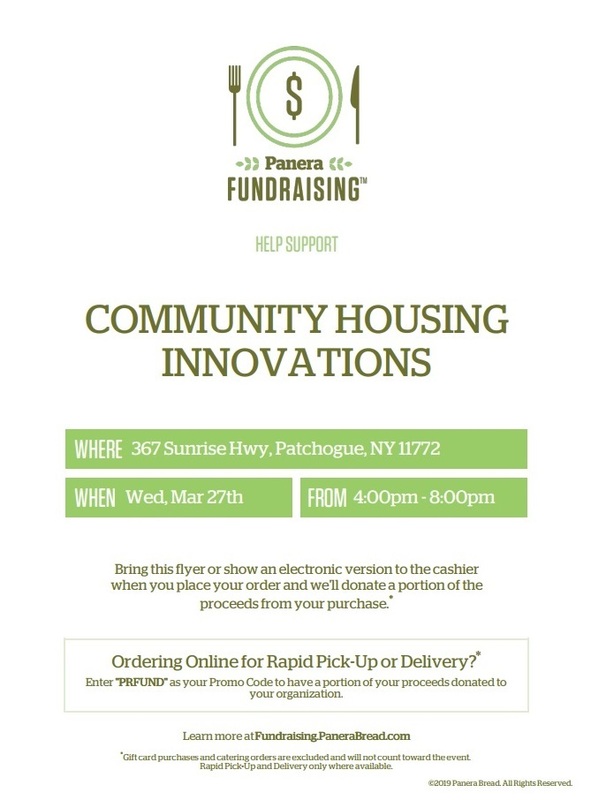 ﻿The fundraiser will take place at Panera in Patchogue on March 27th from 4-8pm. Bring in or show the flyer below to support CHI and Jamie in creating a gardening workshop! CHI offers grant assistance to first-time home buyers toward the down payment and rehabilitation costs associated with purchasing a home on Long Island and in Westchester. To learn if you qualify, please register and attend an upcoming homebuyer orientation. The 2019 grant application is available here. You must attend an orientation to apply for the grant. Your support enables CHI to meet the increased need for housing and services, especially to the children of our communities. 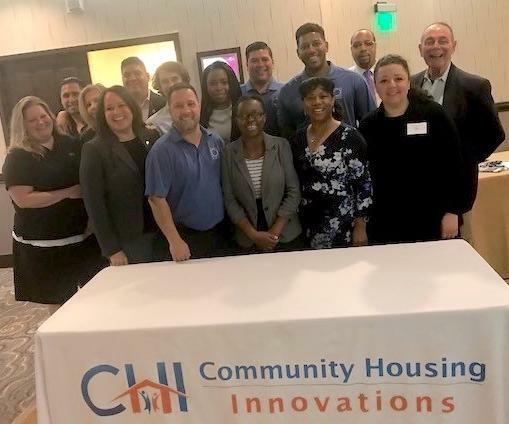 Community Housing Innovations, Inc. is a nonprofit organization providing housing and human services that support social and economic independence.